Delivery time for business card printing is 2-3 working days for orders placed by 16.30 with print-ready artwork. Prices below for double sided, full colour business cards. Price includes VAT. Prices above are for double sided / full colour business cards. Standard delivery time is 2-3 working days for orders placed by 16.30 complete with print-ready artwork. Price includes VAT. All of our Business Cards are standard UK size – 85mm by 55mm (available in Landscape or Portrait). Can I split my 500 cards for more than 1 person? 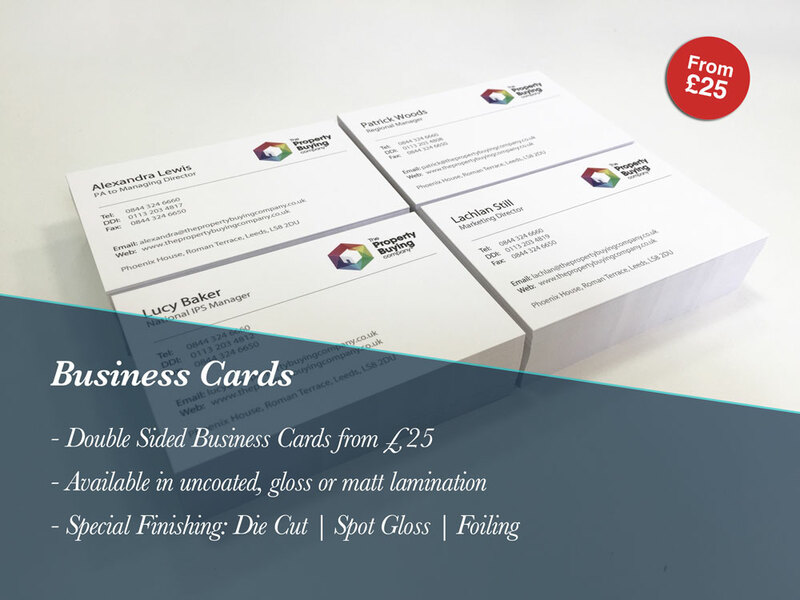 Our minimum order is 500 cards per design, unless you take advantage of our Multi-Name Business Card offer which is available of 400gsm Matt Laminated cards.